Michael J. Connolly earned his undergraduate degree at St. Michael's College in Vermont, and his M.A. 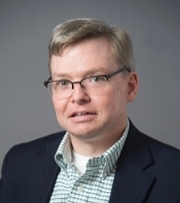 and Ph.D. in history at the Catholic University of America in Washington, D.C. Dr. Connolly taught previously at St. Anselm College and Franklin Pierce University in New Hampshire, and began teaching at Purdue University Northwest in 2004. He advanced to full professor in 2010 and teaches at the Westville campus.